As our new year resolutions start seeming like a bad idea, or just far too much effort, don’t forget to love yourself, take some “me” time and find some face time with your best buddy. We’re giving ourselves some organisational love by re-defining what it means to be Sustainable Coffee Bay. With three identifiable channels to the organisation’s work; Early Childhood Development, Education & Youth Development and Rural Assistance, we’re looking at how can we increase our impact, and our funding to reach more people, who can we partner with to continue bringing opportunities to the local community? We have some exciting new ideas in the planning stages and hope by the end of 2017, we will have started to make a positive contribution to even more peoples’ lives. As part of our Education Development channel, we are excited to announce a new partnership with the Bulungula Incubator and the Starfish Greathearts Foundation through the provision of the Wellness Wagon to schools in our area. 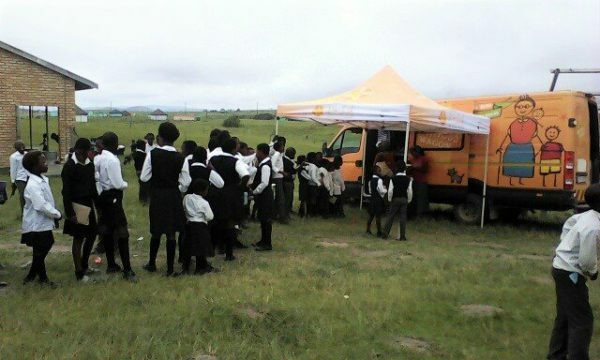 The Wellness Wagon at Mathokazini Junior Secondary School. The Wellness Wagon provides a mobile health clinic for children staffed with a Nurse and Driver that will be visiting our area every 6 weeks. We have already reached 519 children, of which 58 were referred to the clinic or hospital and 315 were treated by the Nurse on site. A great step in ensuring easy access to healthcare, increased learning capabilities due to increased health and less absenteeism. If you are interested in learning more about this innovative programme and would like to contribute, we’d love to hear from you so please get in touch! 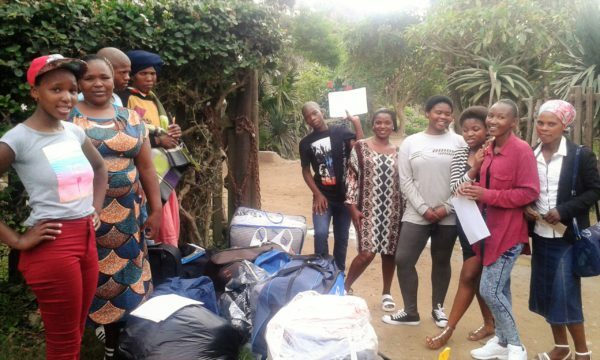 In other Education & Youth news..
Our high school scholarship students are settled in back at school, with three new students joining us to complete their last three years of high school. With only 9% of the community finishing school, these students are greatly increasing their chances of accessing further education and future employment. Already our last two high school graduates are all studying at university; a first for all their families! Students and their parents ready to go to school at the beginning of the year. 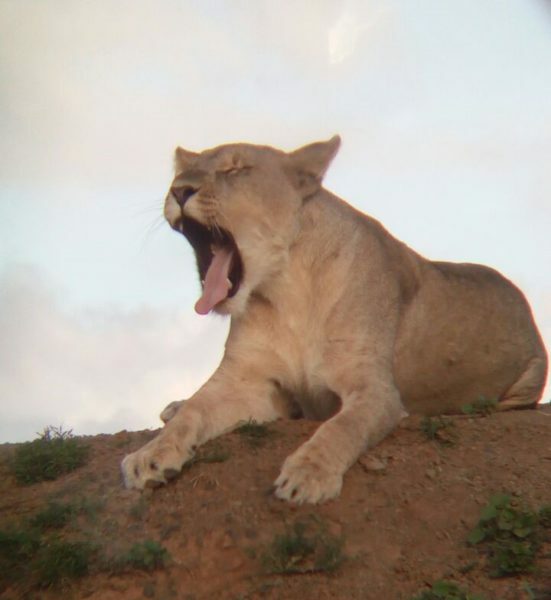 The youth that we work with are also back into training with two new students starting at the South African College of Tourism and our Tracker Academy student started his second 6 month term. 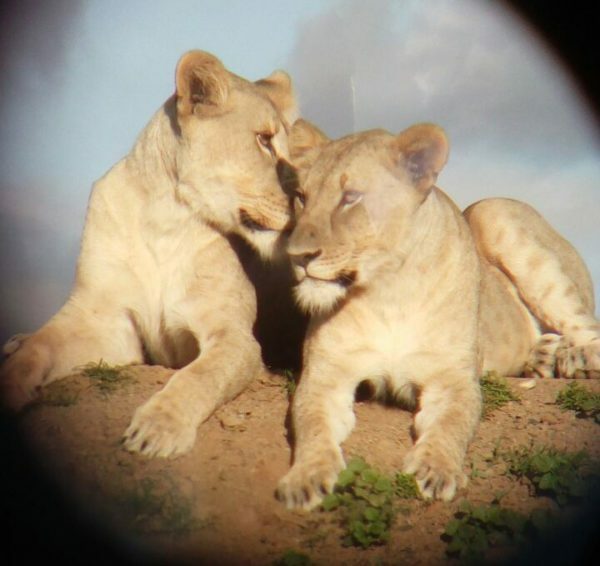 One of our graduates is now working within a private game reserve and sent through these incredible pictures! Spirits were high at the start of pre-school for the children at Ikhaya Labantwana and the process of introducing more children to Montessori learning began again for the new year and the new intake. Too much cute-ness! To add to all the fun, the school now has a purpose built jungle gym, specially designed to exercise little minds and bodies. A huge thank you must go to our funders for making this possible including the Department of Social Development, Harcourts Mthatha and KidsRFuture. Woo hoo! 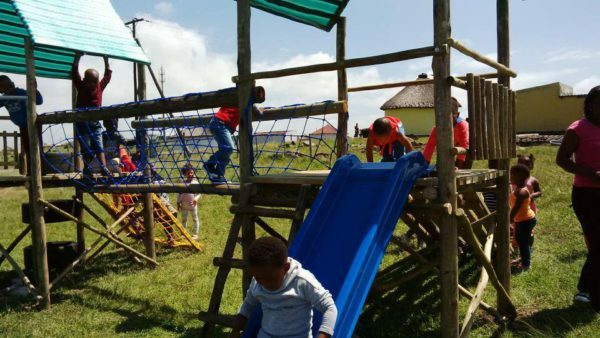 Enjoying the fun of a jungle gym at Ikhaya Labantwana Montessori. 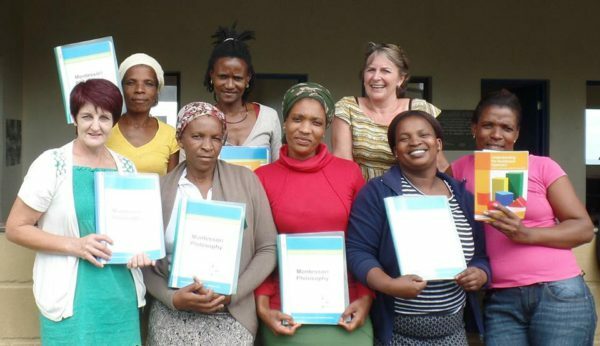 Our Montessori qualified teachers are also feeling the love this year with continuing professional development in collaboration with First Children and Montessori Centre South Africa; no easy feat in this rural location and a massive thank you to all our partners and stakeholders that have made worked so hard to make this happen. Montessori professionals on the Wild Coast! New teacher training is also in the planning stages; ultimately increasing skills and job opportunities in our area (that has unemployment rates well over 50%!). Exciting times and happy days! Please donate now so that we reach more people with education, skills and training opportunities and help make a meaningful difference in peoples lives. 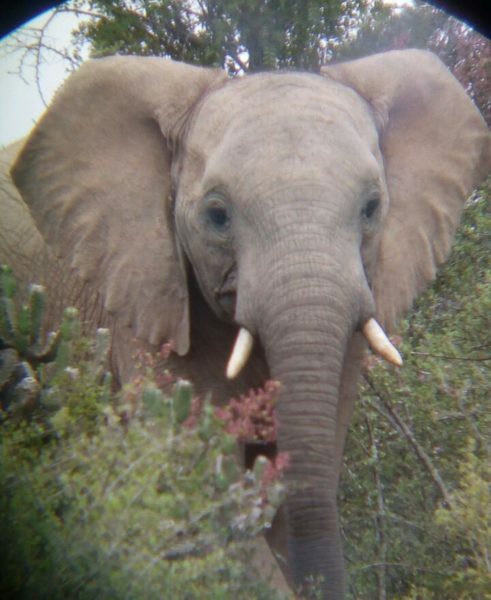 ← Sponsor a child, help a teacher, discover what life is really like in rural South Africa!